Unfortunately we’ve both been quite sick since before we arrived in Valencia, and our lingering colds and flus are not letting go easily. That means that during our first week here we’ve been mostly sticking to our local neighborhood for lunches or dinners, and stocking up at the local Consum supermarket to cook at the apartment. Luckily none of this is a hardship as the neighbourhood is filled with nice places to eat, and the produce is great. We left the historic Alfama and Baixa areas and took the ludicrously crowded Tram 15E along the riverfront out to the Alcântara neighbourhood. 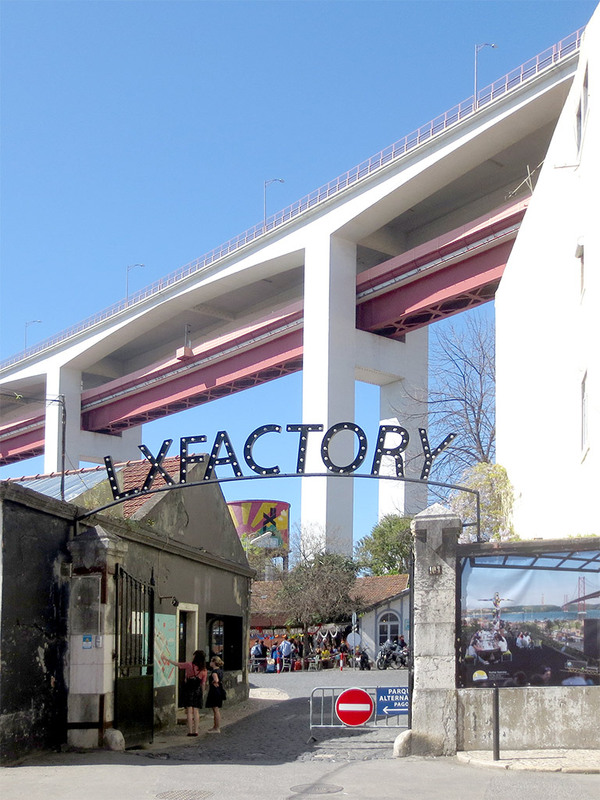 There, at the foot of the Ponte (Bridge) 25 de Abril, we visited two of the more recent additions to the Lisbon map. The LX Factory reminded us a lot of Toronto’s Distillery District. 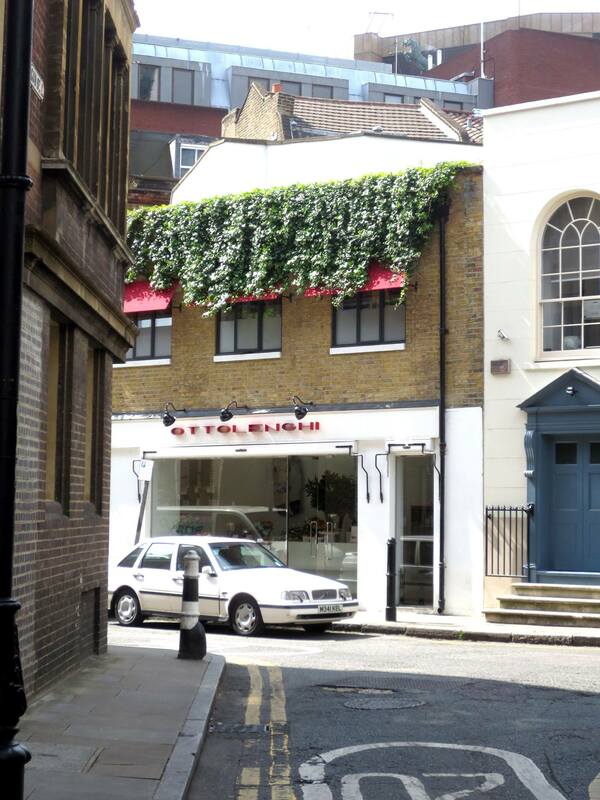 In 2008 an abandoned 1840’s textile factory was converted into artist studios, cafés, shops and market stalls. 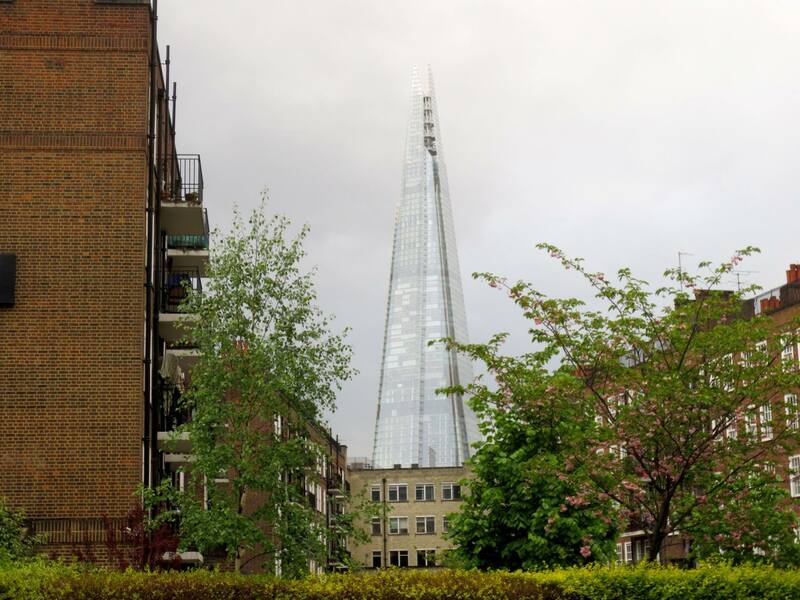 London is such a vast city that even a full week spent exploring as tourists meant we barely scraped the surface of a few neighbourhoods. 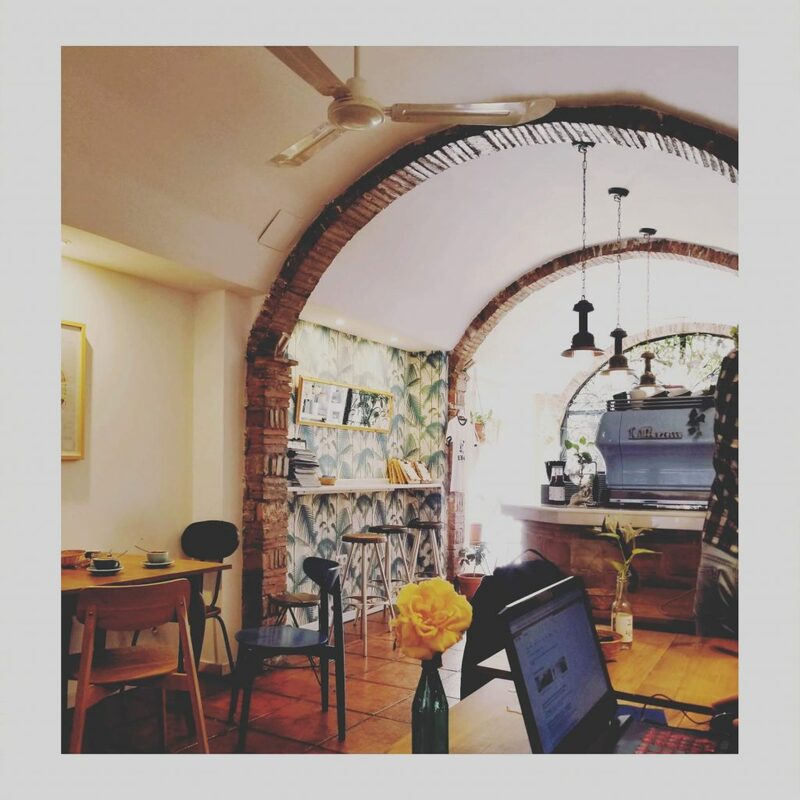 In between all the other major landmarks, museums, pubs and restaurants we visited and blogged about, we also came across other things that caught our interest. Here’s a random compilation. On one of our last mornings, we visited the Spitalfields outpost of Yotam Ottolenghi’s mini restaurant empire for breakfast. The food is upscale Middle Eastern. We have an Ottolenghi cookbook at home which is beautiful, and although the recipes are pretty complicated the few we’ve attempted have turned out well. It was nice try the real thing. 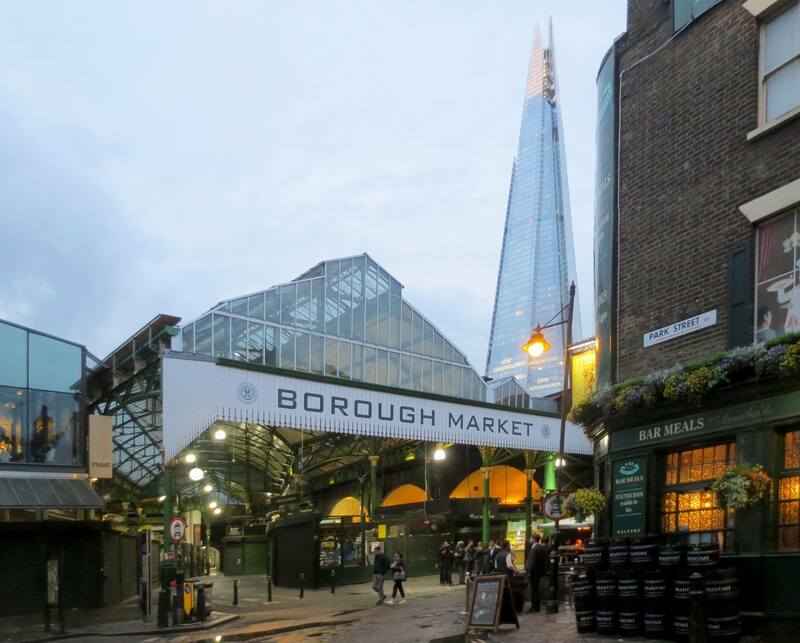 The Borough Market is very close to our hotel, off Southwark Street near London Bridge, and it is one of the best food markets we’ve ever visted. A maze of tiny paths and squares under the railway arches is filled with food vendors and specialty stores of all kinds, open mainly during the day. In the surrounding laneways are many small restaurants and pubs that open into the street during the evenings.